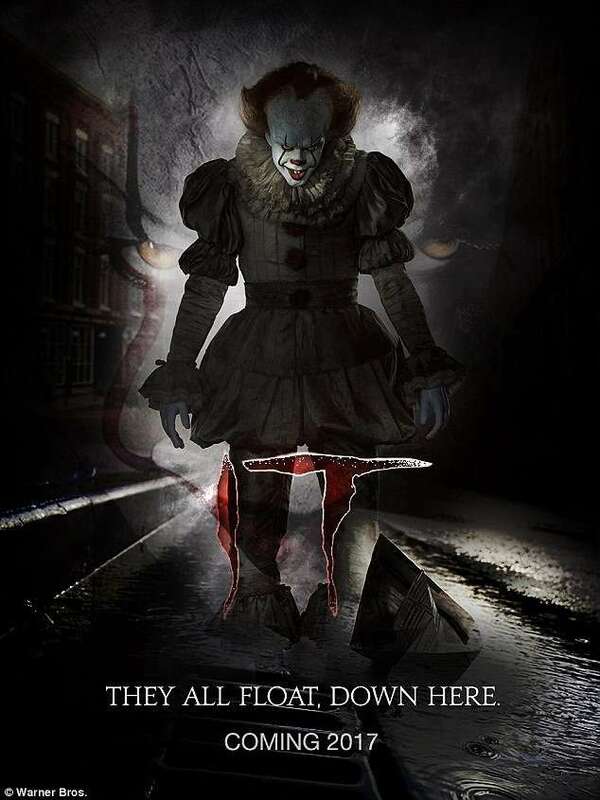 Before it’s theatrical release, the remake of IT is already terrifying audiences. 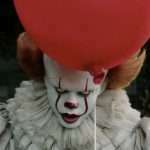 Director Andrés Muschietti spooked Comic-Con attendees in San Diego when he debuted two sneak peeks and a new trailer for the upcoming horror reboot. 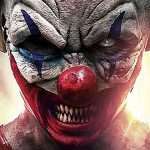 Footage from the film was only shown to audience members and, though none of it is available outside of the theater, Entertainment Weekly was present and described one gruesome scene in which the villain Pennywise the Clown waved around a child’s dismembered arm. Director Andrés addressed the audience just before unveiling the horrific scene from the film, scheduled to premiere on September 8. ‘It’s a great moment to be alive. Because It is coming back, after all this time,’ he said. Stephen, author of the original book, teased the eager fans through a video message. ‘It remains one of my most personal works so I’m delighted it’s finally making it to the big screen. Enjoy this exclusive look… if you can,’ he taunted. The horrific snippet in question was the second scene shown in the Gaslamp District theater that night. It opens as a young character named Mike Hanlon gets chased to the creek by Derry, Maine’s bully Henry Bowers (Nicholas Hamilton), and friends Belch Huggins (Jake Sim) and Victor Criss (Logan Thompson). 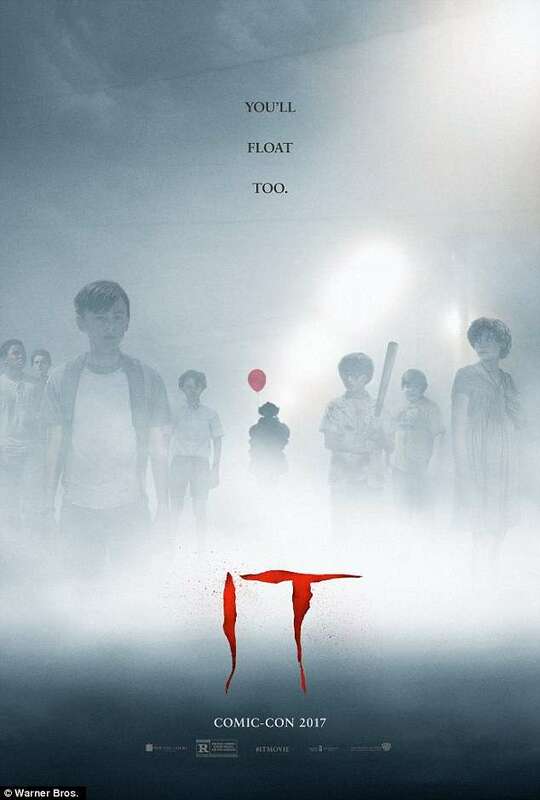 Mike, played by Chosen Jacobs, gets his head pinned against a set of rocks, and he can see Pennywise, portrayed by Bill Skarsgard, waving a dismembered hand that has been ripped from a child’s body at the elbow. The terrifying villain seems to have been chewing on the arm, as blood can be seen around his mouth. The scene continues as Henry lifts a rock, prepared to crush Mike’s skull with it. But before he can do so, The Loser Club’s only female member, Bev Marsch (Sophia Lillis) throws a rock that hits the bully right in the head. The other Losers, Bill Denbrough (Jaeden Lieberher), Richie ‘Trashmouth’ Tozier (Finn Wolfhard), Eddie Kaspbrak (Jack Dylan Grazer), Stan Uris (Wyatt Oleff), and Ben Hanscom (Jeremy Ray Taylor), are all standing behind her, as they engage in a ‘rock war’ with Mike’s attackers. After launching several stones back and forth, Henry and his goons retreat in defeat, injured. The scene then cuts to the seven children walking single-file along a set of train tracks, where Mike thanks his new friends for sticking up for him. ‘I guess that’s one th-th-th-thing we all have in common. Welcome to the Loser’s Club,’ Bill says, inducting him into their crew. ‘This is a meaningful moment in the book and the miniseries where the Losers discover the power of being together — the power that comes from being together,’ the film’s director said of the second scene. 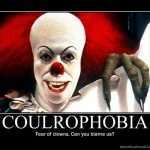 The first scene, however, showed a much lighter side to the horror flick. The clip opens as Bill, Richie, Eddie, Stan, and Ben, stand on a cliff, arguing over who will jump into the water first. Bev arrives and volunteers to do the honor, before stripping off her sundress and leaping over the edge. ‘Holy sh*t, we just got showed up by a girl,’ one of the boys exclaimed. After they all plunged, the kids played and splashed around before climbing out of the water and chatting on a bed of rocks. ‘Derry’s not like any town I’ve ever been in before. They did a study once, and it turns out people die or disappear here at six times the national average,’ he explained, clarifying the statistic is just adults and that child disappearances are far worse. 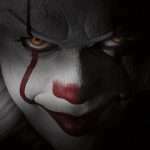 Finally, Andrés introduced a new trailer, which focuses predominantly on the frightening clown, that is set to be released in a week. 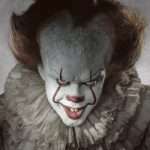 ‘Pennywise is one of the greatest monsters of all time. 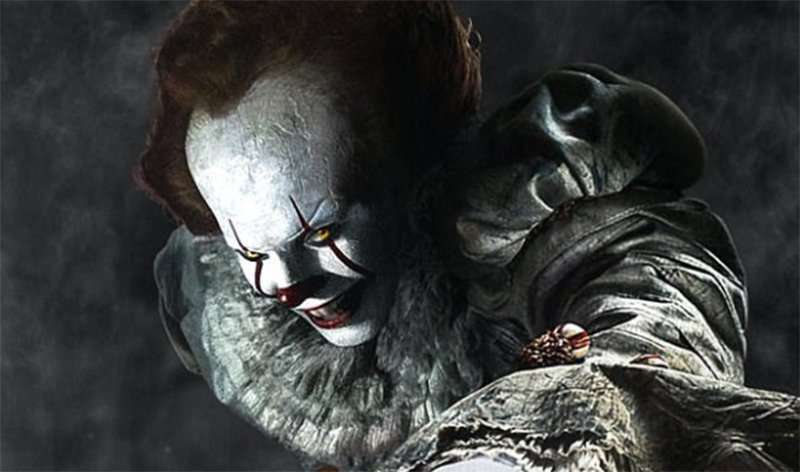 The idea of reimagining Pennywise to me means it’s important to stay true to the essence of the character, but also bring some edge to it — something people won’t expect to see,’ he said. The trailer cuts to a scene where Ben is being held down by bullies as Henry carves a giant letter H into his overweight stomach. An older couple watches the violence from a passing car, but simply continues driving as an iconic red balloon drifts out the back window. The teaser then shifts to an outdoor scene, showing Bill’s younger brother Georgie wearing yellow rain suit and sailing a paper boat down a rain gutter. 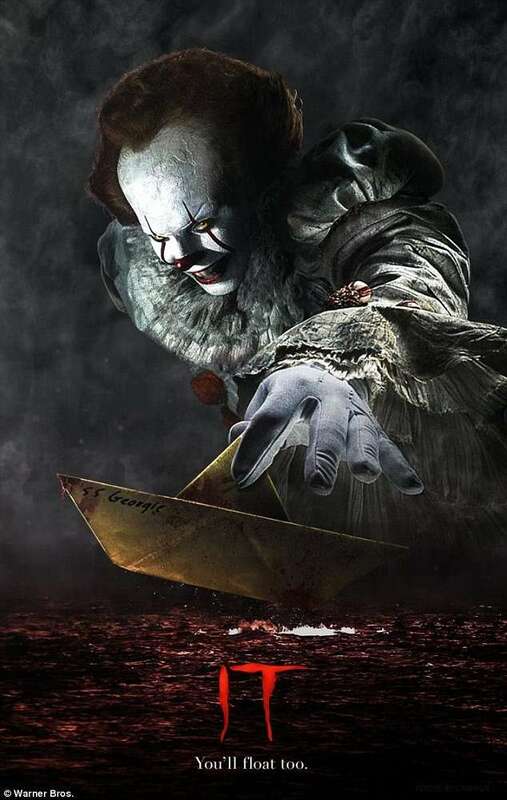 Slowly, It emerges from the drain, extending the boat to Georgie. ‘Here… Take it …’ the villain says. But when the shot cuts back to the street, the boy, the boat, and the villain are nowhere to be seen. ‘All the bad things that happen in this town are because of one thing. An evil thing,’ Mike explains, as the Losers flip through drawings of the town’s history that all include Pennywise mixed in with the crowd. 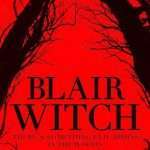 The scene then shifts to Bill, following muddy footprints through his dark home and into the kitchen, where he believes to see Georgie run past him in his rain slicker. After following the ghost into his rainwater-flooded basement, the spirit chokes out ‘If you come with me, you’ll float, too,’ as It’s Amber eyes rise out of the water. Later, Bill tells his friends about the incident, as they also say they’ve seen It, who is seen staring out a foggy window. ‘What happens when another Georgie goes missing? Are we just going to pretend it didn’t happen, like everyone else in this town? Or will we stick together,’ Bill asks his friends. After the audio goes silent, the audience sees Richie in a dark room full of clown dolls. As he passes, each doll turns its head towards him. 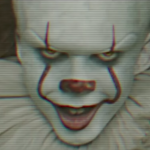 When the child reaches the center of the room, Pennywise lifts his head, reveals his sharp teeth, and lunges toward Richie and screams as the trailer cuts to black. In a new interview, Bill made clear he didn’t hold back during filming. The actor explained to Interview magazine that the director brought in a bunch of child extras for a scene and none of the kids had been told what to expect. ‘This one kid started crying. He started to cry and the director yelled, ‘Action!’ And when they say ‘action,’ I am completely in character,’ Skarsgard went on.